The Homer City Council is maintaining its plan to provide water and sewer services to a low-income housing project in Kachemak City. The council considered rescinding the ordinance Monday after learning that Homer Mayor Ken Castner knowingly withheld a letter from Kachemak City asking the council to provide utilities to other properties. Castner apologized on Monday for intentionally withholding a letter from Kachemak City Mayor Bill Overway asking Homer council members to provide water utilities to all properties along an existing water line on East End Road rather than just the low-income housing project. Homer council members had asked for such input at their last meeting in March, but Castner said Monday that he didn’t believe the letter would have made a difference in the council’s deliberations. “The city manager asked me if I wanted to put it in the packet, and I said no, it would just muddy the conversation, and the negotiating stance that they took really had nothing to do with the matter that was at hand,” he said. Castner did share the letter with council members two days after he cast his tie-breaking vote in favor of passing the measure. He also wrote a letter to Kachemak City Mayor Overway asking him to withdraw his initial letter and write a new letter of support for the ordinance. The Kachemak City Council did not formally withdraw its correspondence, but did pen a new letter supporting Homer’s plan. Still, Castner said Monday that he should be held accountable for withholding information. Council Member Donna Aderhold called for the council to rescind the ordinance, claiming it violated city code and state law because Kachemak City did not pass a companion measure. She also claimed that the mayor violated one of the city’s ethical codes when he implied that Kachemak City did not pen a letter on the ordinance before the council voted. “The mayor then used city of Homer letterhead to coerce the governing body of Kachemak City to do what he personally wanted them to do,” Aderhold said. However, council members or members of the public would need to file an ethics complaint with the city clerk’s office in order for action to potentially be taken against Castner. Council member Shelly Erickson disagreed with Aderhold’s assessment. Others like council member Heath Smith did agree with Aderhold that Castner should have released the letter, but he said the ordinance should be kept in place. The council ultimately wound up in a 3-3 tie on whether to rescind the ordinance. Mayor Castner abstained from voting, preventing the move from reaching the four necessary votes needed to pass. Kachemak City changed its stance on Homer providing water services to a low-income housing project. Kachemak City’s mayor originally penned a letter urging Homer to provide water services to all properties in Kachemak City along an existing water line on East End Road. However, during a special meeting Monday, Kachemak City Council members decided to write a letter supporting Homer’s plan. The Homer City Council approved the extension of city water and sewer services to a low-income housing project in Kachemak City last week. But now that decision may be reversed. City Council Member Donna Aderhold wants the council to consider rescinding that action because she says it was not made aware that Kachemak City Mayor Bill Overway sent a letter to the city asking it to consider providing other Kachemak City properties with water utilities rather than just one property, input council members had requested. A low-income housing complex coming to Kachemak City will be able to hook up to Homer’s water and sewer system. 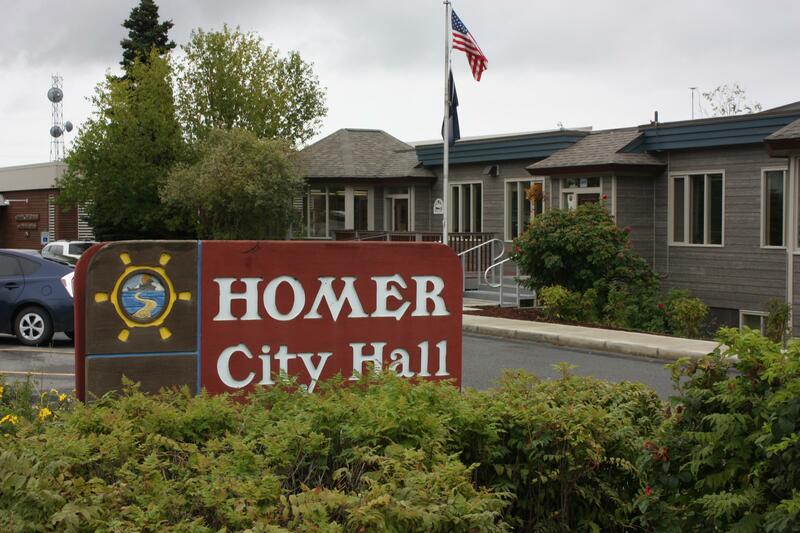 The Homer City Council’s decision Monday night conflicts with a city policy prohibiting non-Homer residents from utilizing the city’s water and sewer system. Council members were divided on the issue but Mayor Ken Castner cast his tie-breaking vote in favor of the one-time deal, breaking his campaign promise to never settle a tie vote.